I know, the title is odd. But the goal is to show how a company is formed and what is required for it to be maintained. What most of the public sees is only related to sales or marketing, never the insides of the corporate structure or management. The first step each of us make is to incorporate our organization, and we are provided with the company’s papers, also known as the “Minute Book”. For entrepreneurs, board directors, management, lawyers, auditors, shareholders, and broker dealers, the Minute Book is a lifeline. It is the historical log of all the key decisions and corporate actions made in the company. Now, some of you will go to your lawyer and get a Minute Book binder, and some will go online and construct your binder. One very important thing about your company’s Minute Book is that there is only ONE original and you must protect it. At the same time, you are required to provide access to your lawyers, auditors, board directors, shareholders, and anyone who is doing due diligence on your company. The Minute Book also has many other tabs for you to insert the ongoing corporate actions in the company. The Minute Book is a living document and it requires that you update it as you are conducting your corporate actions. Those actions need to be recorded in your Minute Book and properly documented, so in the future when you are going through due diligence—for financing, acquisitions, going public, or opening a bank account—this information will be ready so you can move forward.Here is a list of some of the corporate actions your Minute Book needs to have. Some of these corporate actions will be in different sections of your Minute Book depending on how many documents are created. For each of these corporate actions, you will need directors’ resolution and/or shareholders’ resolutions and, in some cases, agreements, government filings, and regulatory filings. All of these documents will need to be stored in different sections within the Minute Book. This is important to know because as your company grows, more and more of these documents start to add up and the historical tracking becomes even more challenging to maintain. If your records are not up to date or properly recorded you will spend thousands and thousands of dollars to get those completed so that you can proceed with a transaction such as raising capital, loan, merger, acquisition, going public, etc. Along with managing all the corporate documents, you are also required to manage, report, and track all your shareholders on a timely basis. Depending on which exemption you used, the company would be required to provide quarterly,semi-annual, or annual reporting to your shareholders. I know all this might seems overwhelming. Welcome to being an entrepreneur! There are no shortcuts, but there is a way to do it so you are not burdened by all this and end up spending thousands of your hard earn money to fix issues when they emerge. As a fellow entrepreneur, I felt this pain. Having all these documents and no central place that everyone (board directors, shareholders, lawyers, auditors, regulators, etc.) could access 24/7, created further strain on my time. For a long time, I found apps that did only one thing but were not able to do all that I needed to meet my fiduciary obligations as an officer and director of my company. 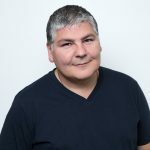 It was very frustrating, but finally, in 2015 we launched the world’s first all-in-one platform—yes, an all-in-one platform—that takes care of everything I described above and so much more. Once you have a secure and centralized platform to bring your stakeholders, you have the assurance to meet your obligations and focus on growing the business rather than managing paper. No more duplicating your efforts – only do it once and KoreConX takes care of the rest. 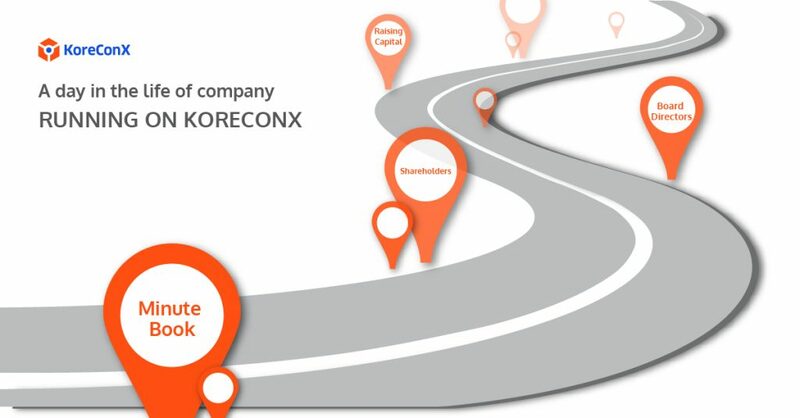 As you grow, the platform provides even further enhancement, so if you are a one person company or a company with 500,000 shareholders or more, KoreConX is your all-in-one platform.